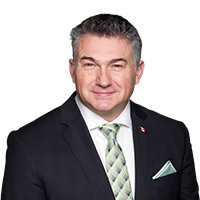 Beausejour – James Bezan, Member of Parliament for Selkirk-Interlake-Eastman, was pleased to attend a federal funding announcement at the Beau-Head Seniors Group today. Beausejour Senior Citizens Association received $17,100 in funding under the New Horizons for Seniors Program (NHSP) to assist with their kitchen revival project. The NHSP is a federal Grants and Contributions program that supports projects led or inspired by seniors who make a difference in the lives of others and in their communities. “I wish to congratulate the Beau-Head Seniors Group on securing funding under the New Horizons for Seniors Program to complete their kitchen revival project. A cornerstone of our previous Conservative Government was to ensure proper care for our seniors through the NHSP, which has helped fund 13,000 projects across Canada in hundreds of communities. “Seniors are a vital and active part of our communities. NHSP funding is targeted assistance for community-based projects, pan-Canadian projects and pilot projects that focus on issues such as social isolation and intergenerational learning. These projects benefit our seniors, and recognize their contributions to society. “Our previous Conservative Government implemented measures in order to help seniors live a more comfortable and financially, including an annual tax relief of $2.8 billion. I will continue to support seniors and advocate on their behalf to ensure that seniors maintain a high quality of life and continue as active, participating members of their communities.